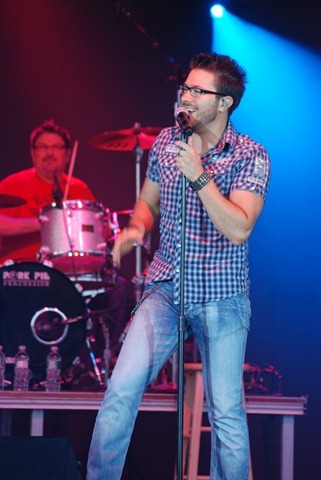 Last night, at the Appalachian Fair, I saw Danny Gokey. We all know Danny. We saw him on American Idol, a lot of us (myself included) thought he should have won. This was my first opportunity to see one of his shows. But I had heard a lot about him from his fans, and I was really looking forward to going. 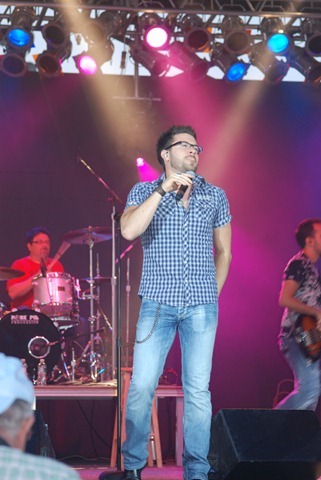 He has powerful vocals, a great stage presence, and a real connection with his audience – anyone could honestly say that Danny is a well-balanced performer. I once heard that a really good entertainer is someone who always leaves the audience wanting more. I believe Danny accomplished that last night. He could have gone on forever, and no one would have gotten up to leave. I watched Danny as he was being interviewed by WXBQ’s Marc Tragler. All you need to do is listen to him to know he’s real. He’s genuine, he’s comfortable, he’s not pretending to be someone he is not. Danny is a “what you see is what you get” kind of person – and that’s nice. 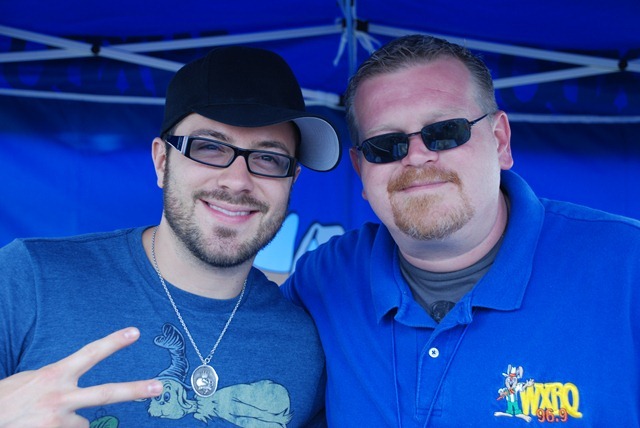 I met a lot of Danny’s fans through this web site – because they fussed at me when I wrote an article about Danny signing with RCA Nashville, and because when I did that, I said that Danny Gokey is not a country artist. You guys didn’t need to fuss at me. I never said Danny isn’t talented. I never said he doesn’t have an awesome voice. And I never said I didn’t like him. All I said was that he isn’t country. But, keep in mind that I am much older than most of you, I have been a country music fan for 50 years, and I like what is now referred to as “classic country”. I’m just having a real problem with country-pop, country-rock, and whatever other terminology is currently being used to describe country music. 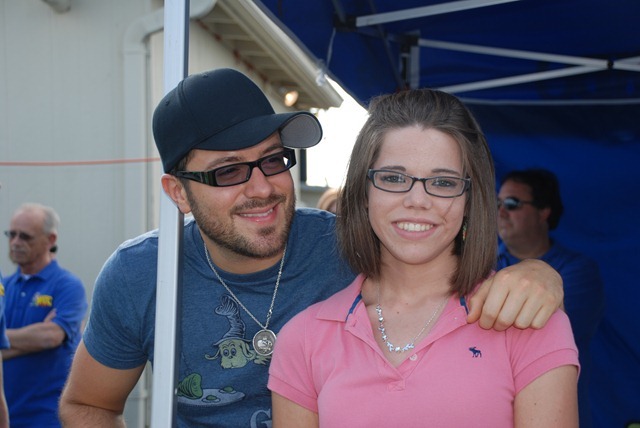 Now, ask me if I would ever go see Danny Gokey in concert again. Go ahead, ask me…. my answer to that question would be without hesitation! I would go see him again, I would tell others to go see him, and I would tell them how hard he works on stage to make sure the people in that audience see what they came to see… a great show, by a talented young performer who I believe will be around for very long time. After the show, Danny said he would stay and sign autographs for everyone who wanted one. What a long line that was. I looked at the people in that line. It was kind of strange really. Because while I was watching the show, I thought he was more of an entertainer for the younger crowd. But when I looked at the line waiting for autographs, I found people from six to 60, and maybe even a few older … and a few younger. 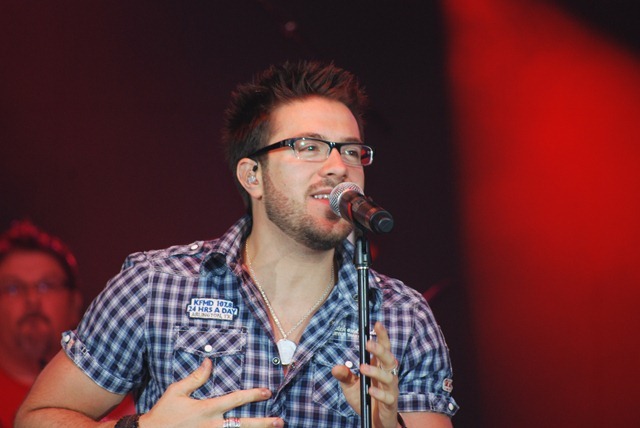 Old, young, male, female … everyone was there to see Danny Gokey. 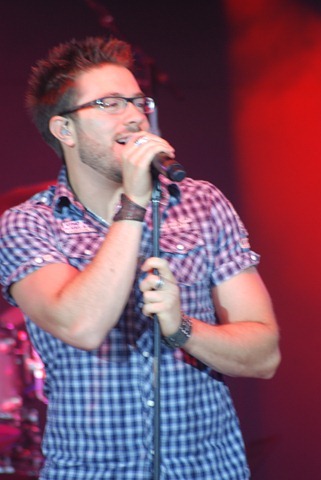 I think it’s time now for a few pictures from a great evening with Danny Gokey. 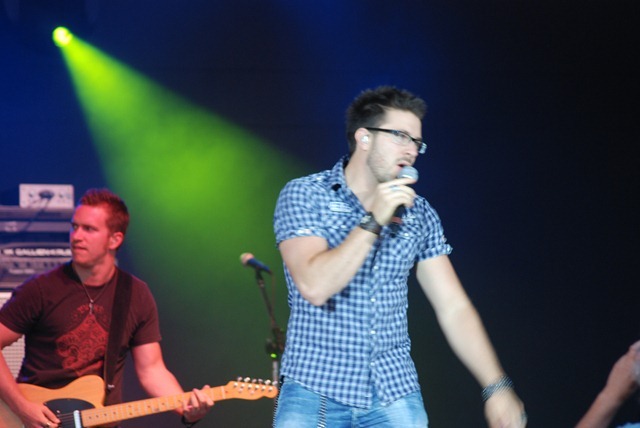 That was night one of our 2010 Appalachian Fair. And all I have to say is we are off to a great start! You all know I will be at the fair every night, but I’ll do my best to keep the reports coming. If I miss a day or two, I’ll catch up. Hope you all have a good Tuesday. Write when you have a minute! Thanks for the incredible pictures Country! 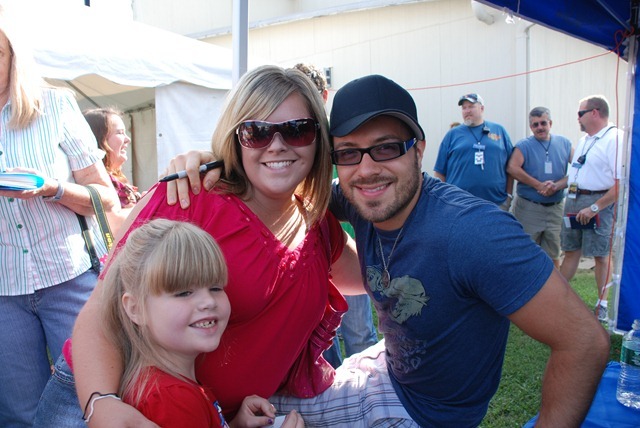 You really took some nice candid ones; love the one of the young girl with Danny. Glad you enjoyed Danny, he is that rare artist who is almost better live than recorded because his charisma comes through. Incredible recap, Country! Loved it! 🙂 And such gorgeous pictures! I wanted to be there so bad! I knew he would be great. Love your honest review. God gave Danny tons of talent. I’m glad you enjoyed the concert! This is my first time reading one of your blogs. It’s nice to hear that there are people who grew up on classic country music aren’t hesitant to listen to country artist who are trying to crossover. R u gonna review Danny’s album soon? Thanks for the GREAT review! I’ve seen Danny many times now. He NEVER disappoints his audience! 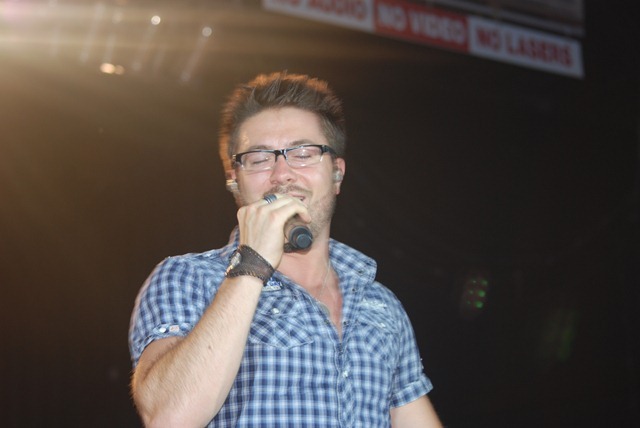 We need to get the radio stations to listen… Request, request, request Danny on your local stations!! Thank you for this article!! 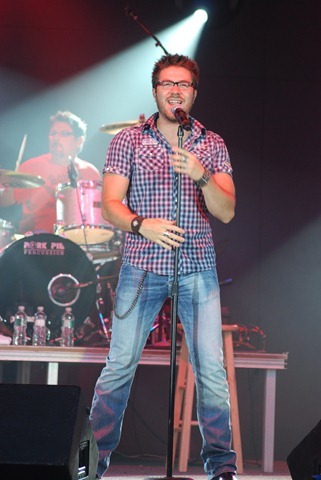 It is good to see you enjoyed Danny’s performance and are open to the change that is happening in Country music. I think Danny has a great career ahead of him. He has said he loves entertaining people and that certainly shows in all his performances!! He is someone who appeals to all ages and to me that is the sign of a true entertainer….. Thanks so much for the excellent review! We who love Danny believe he’s a gift to whatever genre he chooses to sing. I hope country will embrace him and be the better for it! Terrific blog. Thankn you all so much for the great comments. I really enjoyed the show so much, and am looking forward to the next opportunity I have to see Danny again. Loved you review. 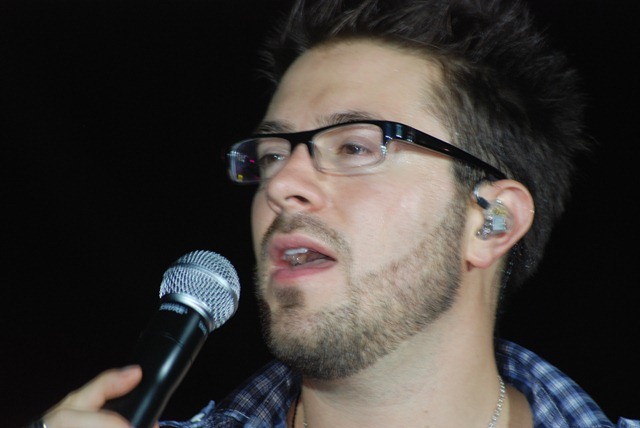 I have been a Danny Gokey fan from the start and I went to the concert last night and had one of the best times ever I have been to a lot of concerts and that was the best one ever I didn’t want it to end. I hope to get to go see him again soon. Hey! Glad u enjoyed the show!=) I was suppose 2 b there! Oh well! Thanks sooo much for the VERY YUMMY pics of Danny! So glad you enjoyed Danny’s show, Country! When I saw one of Danny’s shows, I felt such joy, and I could feel the years melt away! Afterward, I was singing and dancing and on such an emotional high! 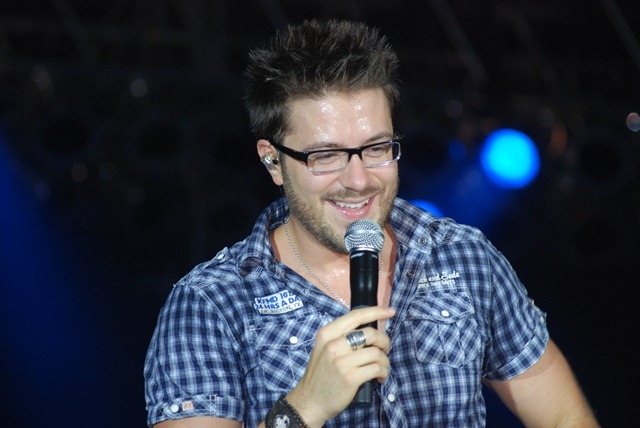 I am new to country music and only started listening when Danny chose country as his musical direction. At first, I was resistant to “twang.” But the more I listened, the more I liked. I probably do gravitate more toward “modern” country, but I also like more mainstream or traditional country. Because I am not knowledgeable about country, I don’t know who qualifies as “classic.” But I like Alan Jackson, Reba, and George Strait, and I never thought I would say that! I think country can become a big enough umbrella to include all kinds of country music, just like rock did in its heyday. But I doubt we’d ever lose the classic sound. Maybe George Jones is right and we need better labels. But then we run the risk that folks will stick to their niches. Would I have exposed myself to Alan Jackson and George Strait if there were sub-genres? 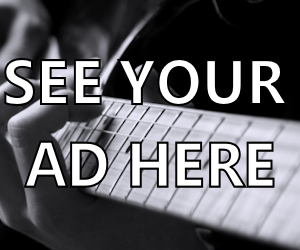 Good music is good music, no matter which way you slice it. Anyway, thank you for a wonderful review! Loved your review of Danny’s concert. 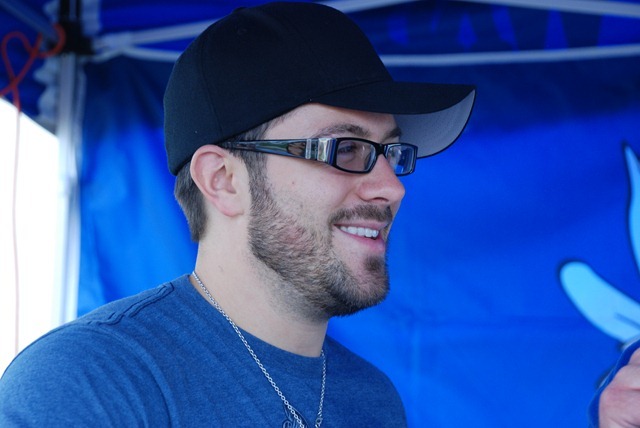 Going to see him soon in Allentown with Lady A. Can’t wait. Danny has an incredible voice and no matter what genre he decided to pursue, that voice needs to be heard. Glad you feel the same way. 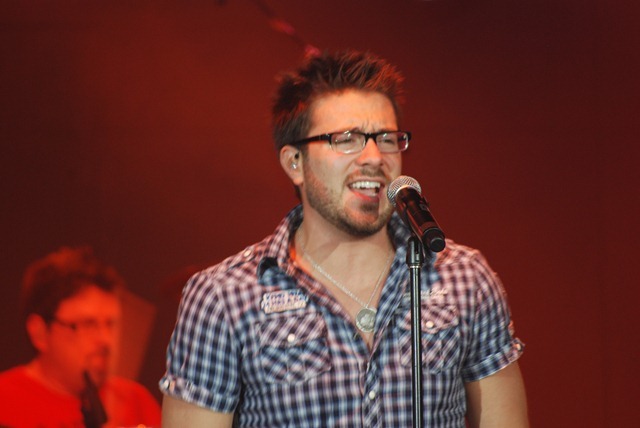 I, too, have had the pleasure of seeing Danny Gokey live in concert (a few times, actually), and I’m glad that lots of people seem to agree with me–that he’s an incredible vocalist, a dynamic performer, as well as a very kind and down-to-earth person. His concerts are always thoroughly entertaining from the first note to the last. The two best concerts I’ve ever been to were both Danny shows, and I’m actually glad that he’s carved out his own niche in country music. He’s just being himself and not trying to be anything but that. I’m glad you enjoyed yourself! 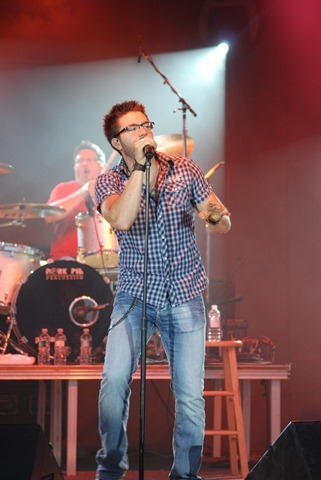 Loved your review and the great pictures of Danny in concert. 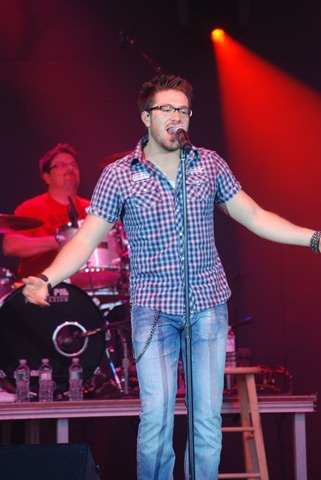 He truly is an amazing talent and has grown so much since he was on American Idol. I have seen him in concert twice and will see him a 3d time the end of September. He gets better every time I see him. I listen to a lot of different genres of music including country. 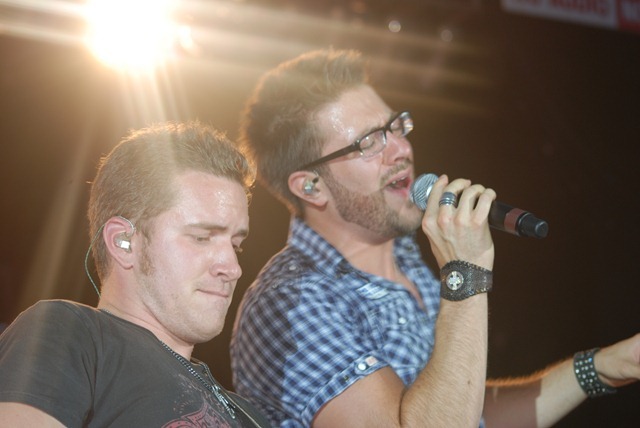 I like the more country-pop or country-rock sounds of acts like Sugarland, Lady A and Zac Brown Band. I think there should be a place for more than just classic/traditional in country music. It brings in a lot of new fans to the genre which to me is a good thing. Thank you so much for such a wonderful review! Danny and his voice enthralled me from the moment I saw his audition on AI-8, and as far as I’m concerned, he should have won. But things are getting better and better for him, and I couldn’t be happier. He’s found great joy in singing for people, and it’s obvious that they find great joy in watching and listening to him. This couldn’t happen to a better or more deserving person, and I fully expect to see him on the awards stage (Grammy, CMA, AMA, etc.) before very long. I hope and pray that Danny will have a very long and very successful career, lighting up the world with his talent and that incandescent voice.